A Cut Above The Rest! Entertain In Style! 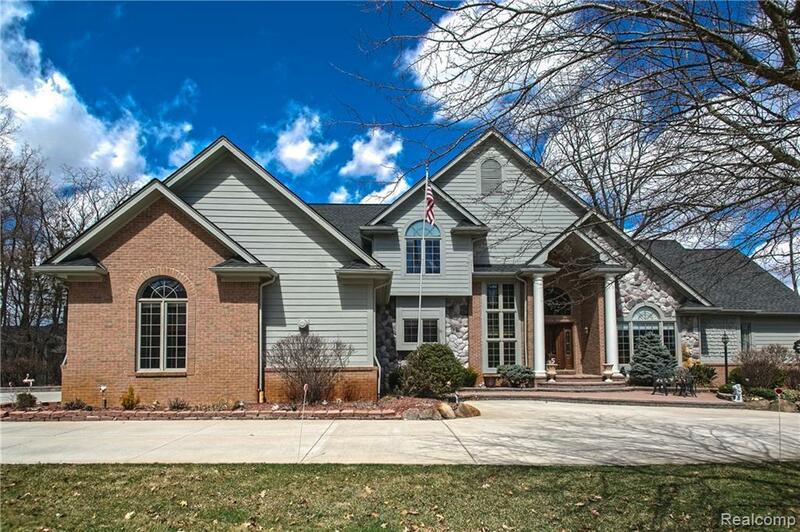 Incredible Value priced below appraised value of $665K. Over 5700 sq. ft. of living space incl. finished lower level walkout. 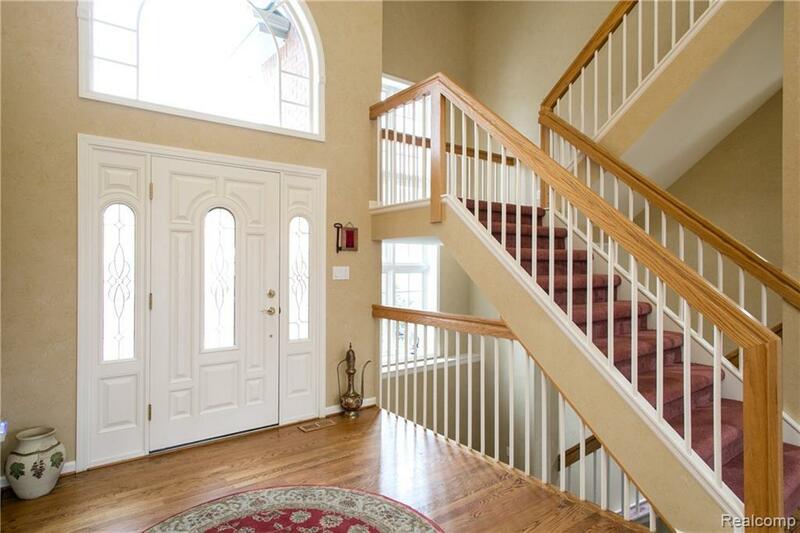 Custom 2 story w/grand foyer, library w/vaulted ceiling, French doors, custom built-ins, stunning living room w/dramatic views of privacy/nature, fireplace, gourmet kitchen w/snack bar, granite, custom cabinets, subzero frig, eat-in nook, first floor master suite w/doorwall to deck, built-ins, glamour bath w/his/her sinks, separate tub/shower, spacious walk-in closet, 12 x 6 exercise room, formal dining room w/built-in buffet, powder room w/under cabinet lighting, family room w/fireplace, 4 season sunroom, spacious 14 x 7 laundry room, upstairs in-law suite w/custom fireplace, finished walk-out w/theater room, game room, custom built-ins, kitchenette, cedar closet, brick paver patio, oversized 3 car garage w/lift for car buff, multi-tiered decking, new furnaces/AC?s, exterior recently painted, newer driveway and roof. Listing provided courtesy of Re/Max Home Sale Services. © 2019 Ann Arbor Area Association of Realtors Multiple Listing Service. All rights reserved. IDX information is provided exclusively for consumers' personal, non-commercial use and may not be used for any purpose other than to identify prospective properties consumers may be interested in purchasing. Information is deemed reliable but is not guaranteed accurate by the MLS or The Toth Team - Keller Williams Ann Arbor Market Center. Data last updated: 2019-04-24T20:12:18.1. © 2019 Ann Arbor Area Association of Realtors Multiple Listing Service. All rights reserved. IDX information is provided exclusively for consumers' personal, non-commercial use and may not be used for any purpose other than to identify prospective properties consumers may be interested in purchasing. Information is deemed reliable but is not guaranteed accurate by the MLS or The Toth Team - Keller Williams Ann Arbor Market Center. Data last updated: 2019-04-24T20:12:18.1.Copyright 2019 Realcomp II Ltd. Shareholders. Real estate listings held by brokerages other than The Toth Team - Keller Williams Ann Arbor Market Center are marked with the Realcomp-approved IDX logo and are provided through IDX through Realcomp II Ltd. IDX information is provided exclusively for the consumers' personal, non-commercial use and may not be used for any purpose other than to identify prospective properties consumers may be interested in purchasing. Any use of search facilities of data on the site, other than by a consumer looking to purchase real estate, is prohibited. The accuracy of all information, regardless of source, is not guaranteed or warranted. All information should be independently verified. Data last updated: 2019-04-24T19:56:41.42.